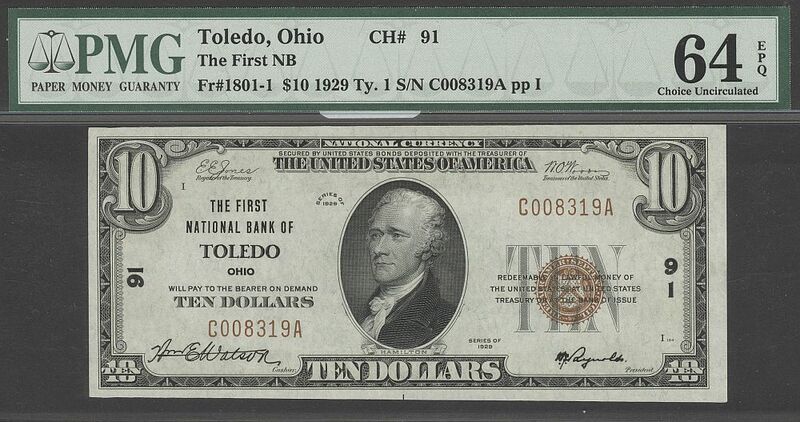 The First National Bank of Toledo, Ohio, Charter #91, Fr.1801-1, 1929 Type 1 $10. 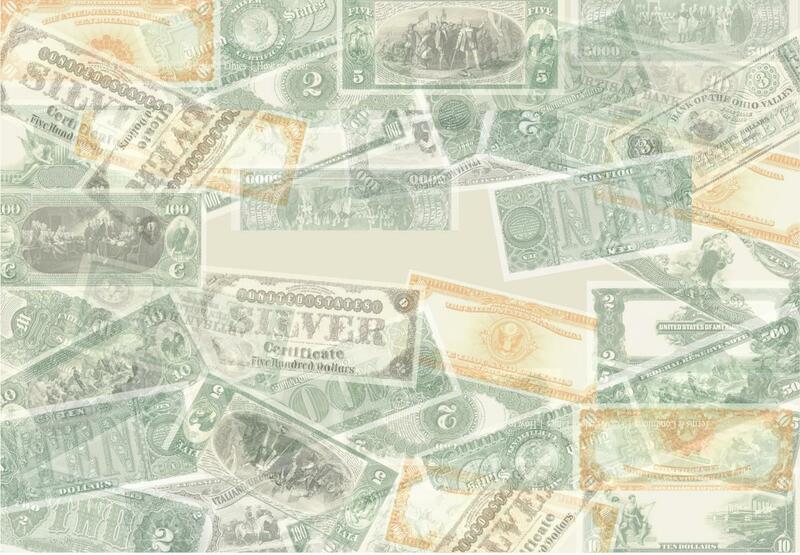 Very Choice CU, PMG64-EPQ. 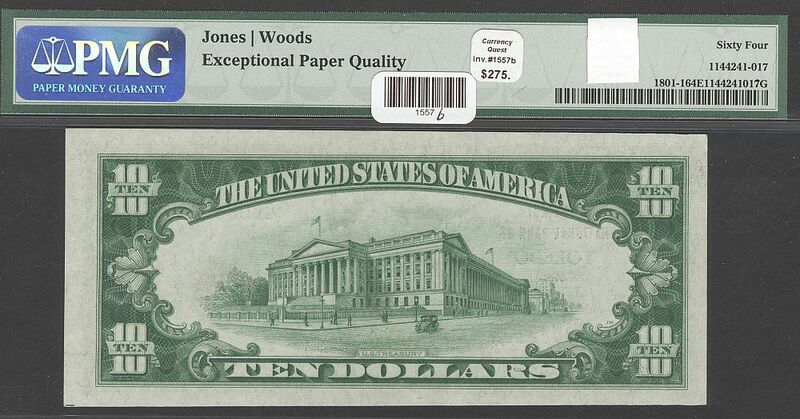 This pack-fresh note has been given the superlative "Exceptional Paper Quality" designation by Paper Money Guarantee. A Gem note but for a slight margin shift.